Love is... when “cold feet” are a cure for snoring. - Love Is (Любовь Это). Оригинальные комиксы "Love Is". 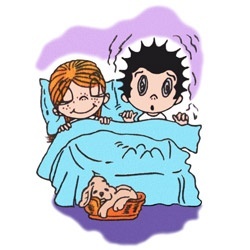 Love is... when “cold feet” are a cure for snoring.